Get a head start on your New Year’s resolution and help cats! If you’re thinking of taking on a fundraising challenge for your 2018 New Year’s resolution, it pays to plan ahead. This Black Friday (24 November) to Cyber Monday (27 November), Cats Protection is offering free registration for a range of next year’s most exciting events, from marathons to skydives! By the time January comes around, New Year’s pledges can easily fall to the bottom of your to-do list, but signing up early is a great way to motivate yourself and save a bit of money in the process! 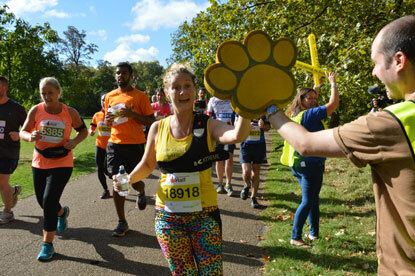 As well as challenging yourself, your hard work will also raise vital funds for the UK’s leading feline welfare charity, enabling us to help thousands of cats and kittens each year. To join our team of #CatChampions, just choose one or more of the events listed below and then head to the Cats Protection website between 24-27 November to sign up for free. We’ll then support you with fundraising resources and training tips to help you raise as much money as possible for the cats in our care. With a stunning backdrop of the sea, the Brighton Marathon finishes on the seafront with 150,000 spectators and an unbeatable atmosphere. Starting in Newcastle upon Tyne, the 13.1-mile route takes runners through the city centre towards the River Tyne where thousands of people will cross over the iconic Tyne Bridge, where if you're lucky, you might get a glimpse of the Red Arrows passing overhead. If you need more convincing, watch our video filmed at the Great North Run for inspiration. 2018 will see more than 25,000 amateur cyclists take on a cycling challenge like no other through London and Surrey on a similar route to that of the London 2012 Olympic Road Cycling Races. This new event was held for the first time in 2016 as part of the Prudential RideLondon festival of cycling. The sportive (remember, it’s not a race!) comprises a spectacular 46-mile route on traffic-free roads. Zip World Velocity, Bethesda, is the fastest zip line in the world and the longest in Europe. You will descend down the Big Zipper over the quarry lake often reaching speeds well in excess of 100mph! 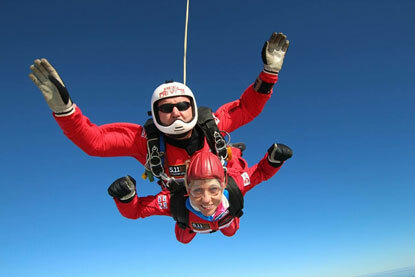 Thrill-seekers can complete an exhilarating skydive to raise money for Cats Protection. Visit our national charity skydive provider by clicking here to choose your own location and date. Save up to £10 when you sign up for one of our Ultra Challenge events before 25 December, including the South Coast Path Challenge, Thames Bridge Trek and even an expedition to the Great Wall of China! Find out what it’s like to complete a trek for Cats Protection with our video. Good luck with your #CatChampions challenge!